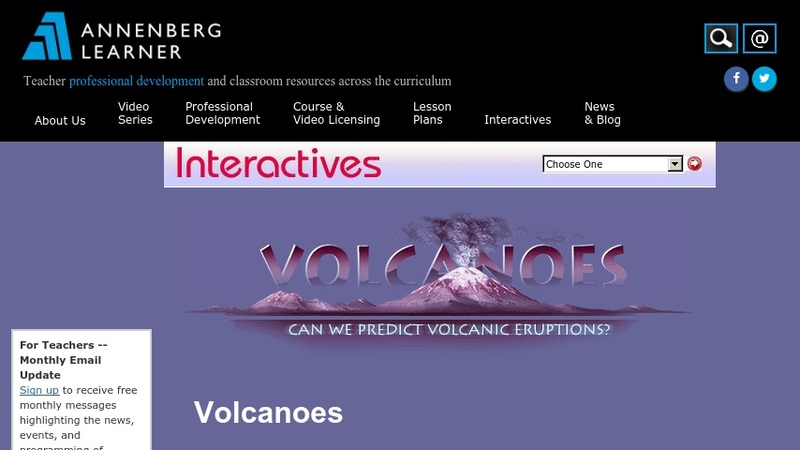 This interactive site from Annenberg Media looks at why volcanic eruptions occur, the varying types of eruptions, and the hazards they pose to surrounding areas. Forecasting methods such as mapping, warning signs, and monitoring are examined, and ways of reducing risk are discussed. The site includes an annotated list of related web sites of high quality.